Dartmouth is one of the most beautiful towns in England and is surrounded by many small villages such as Kingswear, Dittisham and Blackawton, and pretty coastal villages like Stoke Fleming, Strete, Slapton, Torcross, Beesands, Beeson and Stokenham. You will find charming timeless villages by the rivers in the valleys and more by the coast that have some of the cleanest beaches in Britain, you can get leaflets for how to explore the area by public transport, by bicycle and on foot are available at the tourist office. 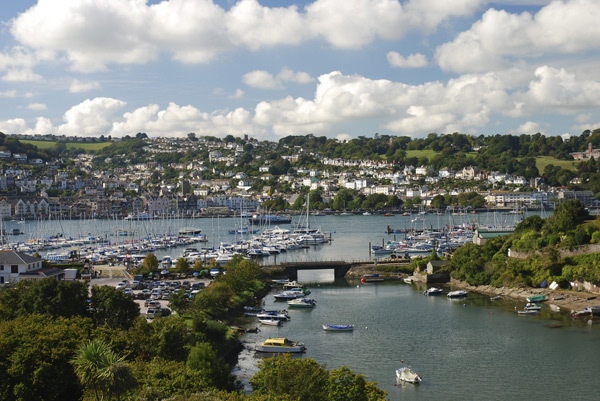 Dartmouth is a prospering town situated on the River Dart in Devon's South Hams with its narrow streets, overhanging medieval houses and old harbours, a shelter for yachtsmen and tourists alike. Dartmouth offers fine restaurants, galleries, marinas, antique shops and good places to stay, you can experience the unique history of seafaring by exploring streets such as Jawbones, Flagon Steps, Damnation Alley, Undercliff, Kings Quay, Old Rope Walk and Waterpool Lane. Here you can see unusual, old-fashioned buildings and an old Ship in the Dock, the Windjammer and the Floating Bridge are some of the best places to eat, drink or sleep. 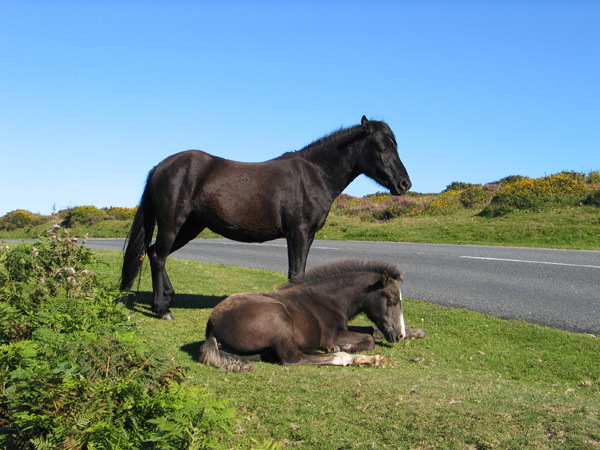 Dartmoor National Park, the name itself is suggestive enough to indicate that it is a store house of gardens. Dartmoor is home to many wild, rare and exclusive species of flowers and plants. Dartmoor is a nature reserve for many extinct varieties. Apart from enjoying the delightful sight of greenery, you can also learn about these plants, learn tips and techniques of creating and maintaining gardens or get inspirational ideas to landscape your own garden. All lovers of Nature must see Rose moor Gardens located in Great Torrington. This is an all weather garden spread over a massive area of 40 acres, with it's lovely flowers and beautiful landscape makes this a relaxing experience! Dartmoor is home to innumerable gardens that you can enjoy, to name a few, Lady Anne's Rose Garden, fruit and vegetable garden, Queen Mother's Rose Garden, Lake and cottage Garden, there is so much variety and each one of them unique and mesmerizing in their own way. 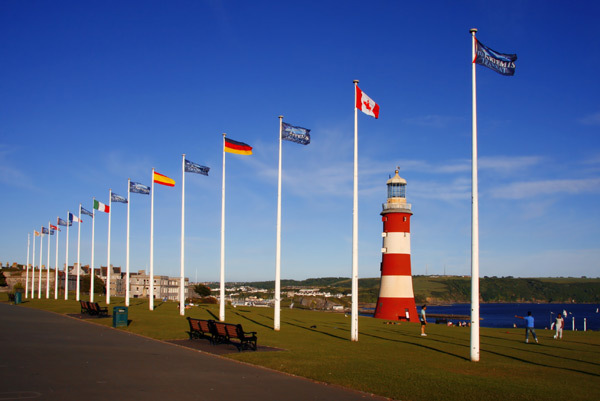 Plymouth is one of the South West's favourite shopping destinations, with a whole host of chain stores as well as numerous arcades and trendy boutiques. The stunning, pedestrianised Armada Way leads from the university buildings straight to the seafront, and is lined with shops and coffee bars for shopping breaks. If it's art and home accessories you're after, head straight to the Barbican - a haven for art-lovers, where the cobbled streets are packed with galleries. The city is also home to the Plymouth Argyle football team - the Pilgrims - and you can visit their grounds, not far from the train station, or see them play at home. Exeter has retained its position as the administrative capital of the region, and it is once again becoming more and more important economically. Its university is important, becoming not only more recognised as an institution of quality in itself, but as a valuable asset to the ongoing prosperity of the city. Electronic communications mean that more businesspeople can enjoy living and working in a city that - as recognised by the Romano-British - provides a comfortable and civilised lifestyle, with clean air and easy access to the open spaces of unspoilt moorland and the sea. Some forward-thinking organisations have recognised this; the Met Office, for example, has moved its headquarters to Exeter, and is now one of the major employers in the area. 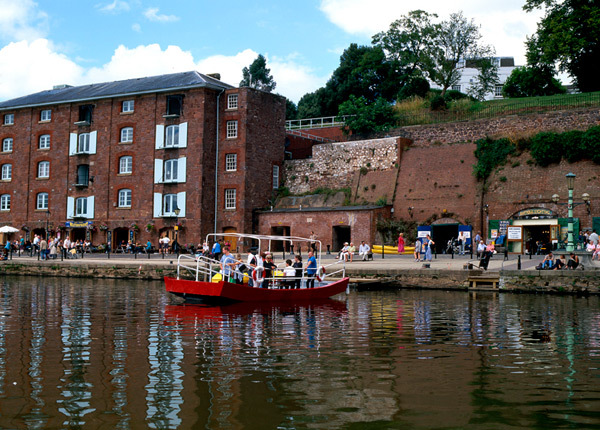 Exeter in the early part of the 21st century has a population of around 115,000. It is twinned with Rennes in Brittany, Bad Homburg in central Germany, the Italian city of Terracina near Rome, and the Russian city of Yaroslavl near Moscow. Access to Exeter from the rest of the UK and from western Europe is easy and quick - it has a motorway link, a mainline railway service and an international airport.